Ribbon: Red with white edge stripes. 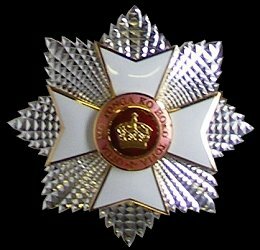 Awarded: For exceptional services to the state and the crown. 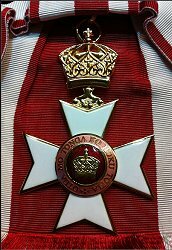 Grades: 4 (Knight Grand Cross, Grand Cross, Commander and Member).